Four-star general tapped by President Obama to serve as a top commander in Afghanistan. He served with the elite 82nd Airborne Division following his graduation from the United States Military Academy at West Point. He was openly critical of the Obama administration in a "Rolling Stone" article. His father, Major General Herbert McChrystal, was involved in the post-World War II U.S. Occupation of Germany. 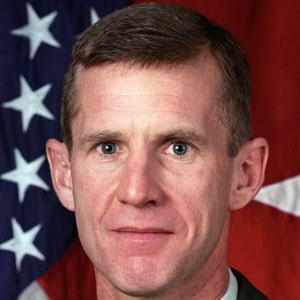 President Barack Obama allowed McChrystal to retain his four-star general title following his retirement from the military.